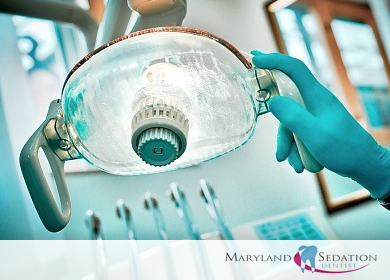 How Safe is Sedation Dentistry in Burtonsville Columbia MD? Is Sedation Dentistry and Getting Put to Sleep at the Dentist Safe? 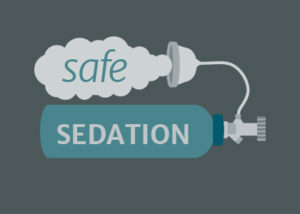 Sedation dentistry is very safe. In fact in many cases it is more safe than dentistry done without sedation. Sleep dentistry is done by a dentist who has specific additional training involving a residency in a hospital under the supervision of a Board Certified Anesthesiologist. Additionally, the sleep dentist must pass a very difficult written test and an oral exam administered by the Maryland State Board. Finally, the State Board examines the facility of the Sedation Dentist to determine that the dental office if adequately equipped to deliver sleep sedation dentistry safely. is our sedation dentist. He will meet with you personally to determine what level of sedation you need to comfortably tolerate your dental care whether it be twilight anesthesia or full IV sedation. Dr Adams is one of few dentists in the Washington-Baltimore area who sedates people for regular dental work as well as complex procedures. Contact us today for a no cost sedation dentistry consultation. Clinically, sedation dentistry can be safer, because an anxious patient can be kept comfortable, still and sleep peacefully through the procedure hence the term sleep dentistry. Patients who are comfortable do not move during procedures and are less likely to get cut by dental instruments when moving in response to a fear. With less tension, it is easier to control blood pressure and the dentist can deliver care faster, smoother and more effectively and in fact more safely. 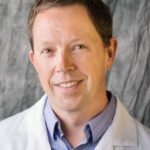 A very common question is about high blood pressure and heart problems – Is sedation dentistry safe if I have high blood pressure or a “weak heart?” In fact, sedation is more safe for patients with cardiac disease because the sedative drugs will keep the patient calm and comfortable throughout the dental procedures. If patients are anxious and stressed during a dental procedure, blood pressure, heart rate and general stress on the heart goes up. Keeping someone comfortable and not stressed is more safe, because adding stress and anxiety for a patient with heart disease is more likely to cause a heart attack or other medical emergency. Have a patient sedated and relaxed is easier for the heart to handle and can prevent cardiac emergencies in the dental office. I am about to get my wisdom teeth taken out, but I am worried about being sedated. It just worries me that it will affect my body in a bad way somehow. But, you said that sedation dentistry is a very safe way to allow the dentist to get done what he needs to get done, while also keeping me calm throughout the whole procedure. This is a huge relief to me. Now I can calm down about this whole thing. I wouldn’t worry too much. If you are healthy and cleared by the Sedation Dentist and your Doctor. Great and thanks for visiting our blog!